We do not generally expect our parents and elderly relatives to get sick. Certainly, the day when their minds are not what they used to be is not one which we ever want to face. But when a parent or elderly relative becomes ill, their affairs require management. The Mental Health Act, passed in 1997, provides an avenue for managing the affairs of persons who can no longer do so for themselves. Section 29 of the Act allows the Supreme Court or the Parish Court, on application of the nearest relative or the Attorney-General, to exercise jurisdiction over the management of the property and affairs of a patient if the Court is satisfied by evidence (medical and otherwise) on affidavit that the patient is incapable by reason of mental disorder of managing and administering his property and affairs. A patient is defined as a person who is suffering or is suspected to be suffering from a mental disorder. The Act includes two alternative definitions of mental disorder which are phrased in wide terms to include a range of mental deficiencies which may rob a person of the capacity to handle their own affairs. Diseases such as dementia have been recognized by the Court to be included within the Act’s definition of mental disorder, though it has been held that a person who is comatose and thus unable to have his/her mental capacity assessed is incapable of falling within the Act. Under the Act, the patient’s ‘nearest relative’ is the only person other than the Attorney-General who may make an application to bring the patient’s affairs within the jurisdiction of the Court. This is only one of the several responsibilities accorded to the ‘nearest relative’ under the Act, another of which is the giving of consent to treatment in a psychiatric facility. In practice, however, problems arise due to the Act’s definition of the term ‘nearest relative’. Section 3(3) of the Act says that nearest relative means husband or wife and if there is no husband or wife the nearest relative will be determined in the following order of precedence: son or daughter; father; mother; brother or sister; grandparent; grandchild; uncle or aunt; and nephew or niece. The restrictive approach to persons who may make the application is not without rhyme or reason. It is not desirable that any relative, whether close to the patient or not, should be able to make an application to be put in a position to exercise control over the patient’s affairs. However, the restriction poses difficulties in several situations. First, if a relative falling within one of the categories above is not ordinarily resident in the jurisdiction, the nearest relative must be determined as if that person was dead. A person below 18 will similarly be treated as dead, as will a husband or wife who is permanently separated from or has been deserted by the patient. It is well known, however, that the Jamaican family does not always follow a well-defined structure. The reality of familial relations and the country’s socio-economic situation leads to circumstances where a relative who is closest to the patient resides abroad or may even be a cousin, who does not fall within the Act’s definition of ‘nearest relative’. Such a person would not be able to make an application under the Act, even if the patient resides abroad with him/her, but has property in Jamaica, which would be subject to the Parish or Supreme Court’s jurisdiction. This leads to circumstances where the patient’s nearest caregiver will not be able to make an application under the Act, while someone who does not have close relations with the patient will be the proper person to make the application. Even when there is a nearest relative who is close to the patient, circumstances may arise where it would be implausible or inconvenient for that person to make the application. Such circumstances include the physical or even mental incapacity of the nearest relative. The Act, however, does not provide for such a predicament. The case law interpreting the provisions of the Act is also sparse, as the patient is the proper respondent and the orders may be made without notice to the respondent. It is therefore unlikely that many applications under the Act will result in written judgments from the Court. The Mental Health Act passed in the United Kingdom in 1983 made arrangements for such predicaments which could arise in practice. Firstly, the UK Act allows for the Court to appoint an acting nearest relative on application by any relative of the patient. Secondly, the nearest relative of a patient may authorise in writing any other person to perform the statutory functions conferred on the nearest relative, and may revoke any such authority. An application for guardianship is further not conditional upon the application being made by the nearest relative or the Attorney-General under section 7 of the UK Act. The Jamaican Courts have attempted to overcome some of the statutory challenges in at least one instance. In Re An Application for Legal Guardianship of MA, the Court was invited to exercise inherent jurisdiction to make an order in respect of an incapacitated adult who was comatose and consequently was held to fall outside the category of ‘patient’ under the Mental Health Act. In that case, the Court held that its inherent jurisdiction, which is statutorily recognized and preserved in section 48 of the Judicature (Supreme Court) Act, could be invoked where a vulnerable adult is for some reason deprived of the capacity to make relevant decisions or incapacitated/disabled from giving or expressing consent. Under the Mental Health Act, however, this would not be possible save in circumstances where there is a nearest relative who can make the application to manage and administer the affairs of the patient. It is not yet clear whether the Court’s inherent jurisdiction may be invoked by a nearest relative who resides outside of the jurisdiction. The deficiencies of the Act should be addressed by Parliament to ensure that the Government meets one of its primary responsibilities: protecting the vulnerable. While the inherent jurisdiction of the Court is one option for doing so, there is sparse case law on the area and thus the bounds of the jurisdiction are unclear. Consequently, there is no definitive answer to the question of whether the Court will exercise its inherent jurisdiction over a vulnerable adult who falls within the definition of patient under the Mental Health Act. For the foregoing reasons, it is desirable that Parliament engages in reform of the Act to expressly authorize the Court to allow an application to be made by a relative of sufficient closeness to a patient if it is shown that the nearest relative is unable, unwilling, or generally an inappropriate person to make the application. Additionally, the Act may benefit from empowering the Court to appoint a person to act as nearest relative if the Court deems it necessary. Finally, Parliament may wish to consider a savings law clause, similar to that which is contained in the Children (Guardianship and Custody) Act, preserving the inherent jurisdiction of the Court to appoint and remove a guardian it deems fit to act for vulnerable adults, notwithstanding that the applicant may not fall within a formulaic definition of ‘nearest relative’. 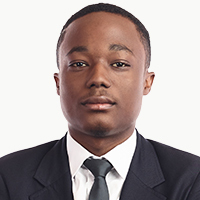 Yakum Fitz-Henley is an Associate at Myers, Fletcher and Gordon, and is a member of the firm’s Litigation department. He may be contacted at yakum.fitz-henley@mfg.com.jm or via the Firm’s website www.myersfletcher.com. This article is for general information purposes only and does not constitute legal advice.